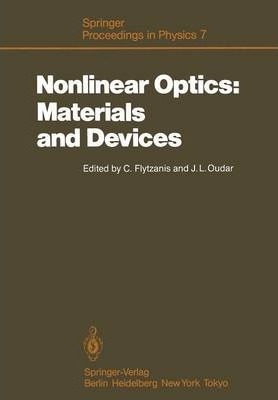 The field of nonlinear optics has witnessed a tremendous evolution since its beginnings in the early sixties. Its frontiers have been extended in many direc- tions and its techniques have intruded upon many areas of both fundamental and practical interest. The field itself has been enriched with many new phe- nomena and concepts that have further extended its scope and strengthened its connection with other areas. As a consequence, it is becoming increasingly unrealistic to expect to cover the different facets and trends of this field in the lectures or proceed- ings of a summer school, however advanced these may be. However much of the current progress and interest in this field springs to a large extent from the promise and expectation that highly performing all-optical devices that exploit and operate on the principles of nonlinear optics will constitute an important branch of future technology and will provide new alternatives in information processing and transmission. The conception of new devices, in general, requires an intricate and bold combination of facts and methods from most diverse fields, in order to perform functions and operations that fit into an overall technological ensemble. Illustrations note 186 Illustrations, black and white; VIII, 249 p. 186 illus. I Nonlinear Optics in Guide Structures.- Nonlinear Optical Waveguide Devices.- Nonlinear Guided Waves.- Nonlinear Interactions and Excitonic Effects in Semiconductor Quantum Wells.- II Ultrafast Charge Carrier Dynamics in Semiconductors.- Femtosecond Lasers and Ultrafast Processes in Semiconductors.- Transient Nonlinear Optical Effects in Semiconductors.- Picosecond Luminescence Studies of Electron-Hole Dynamics in Semiconductors.- III Nonlinear Optical Materials.- Prospect of New Nonlinear Organic Materials.- Photorefractive Materials for Optical Processing.- Optical Fibres with Organic Crystalline Cores.- Nonlinear Optics at Surfaces and in Composite Materials.- IV Optical Bistability and Instabilities in Nonlinear Optical Devices.- Semiconductor Optical Bistability: Towards the Optical Computer.- Optical Bistability and Nonlinearities of the Dielectric Function Due to Biexcitons.- Instabilities and Chaos in Nonlinear Optical Beam Interactions.- Index of Contributors.